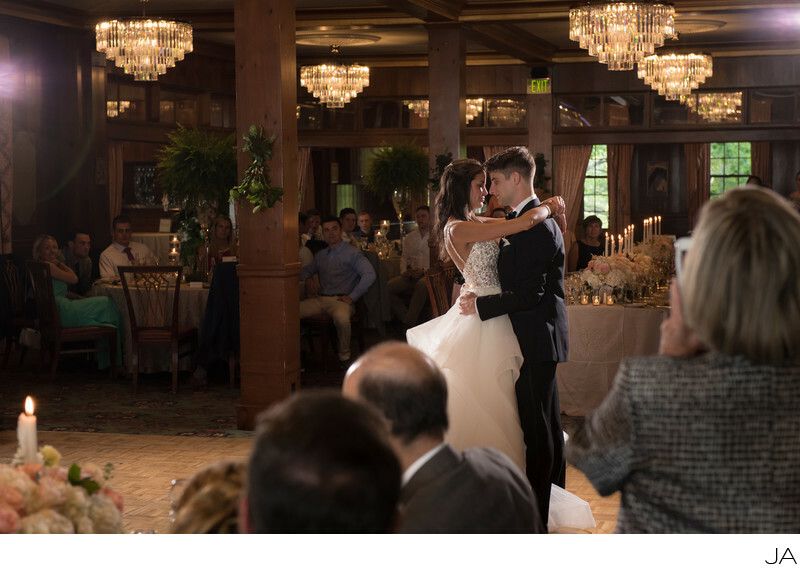 Maine wedding photographer Joshua Atticks photograph of the first dance of Abby and Thomas. The photograph is in the grand ball room at the Colony Hotel in Kennebunkport, Maine. This photograph was light with three speedlights. There are two lights creating a gorgeous rim light on each side of the couple and the main light supplied with just a touch of fill from an on camera flash. The Colony Hotel is a wonderful venue for the perfect coastal Maine wedding and an ideal location to create wonderful images by any wedding photographer. Location: 140 Ocean Ave, Kennebunkport, ME 04046. Keywords: abby and thomas (6), colony wedding (6), colony. kennebunkport (3), Joshua Atticks Wedding Photography (249), Maine Wedding (63).